Last summer NCA, in conjunction with our partners at LaGuardia Community College, ran an extensive water quality testing program to assess current conditions in Newtown Creek. We will be presenting our findings from this study and providing our printed report to attendees. As part of the Greenpoint Bioremediation Project, NCA has produced a citizen’s guide to contaminated soils. The guide distills various topics useful to local residents and gardeners including composting methods, mycoremediation and natural means for protecting human health and improving soil quality. We will be distributing free copies of the guide at this and future NCA events. 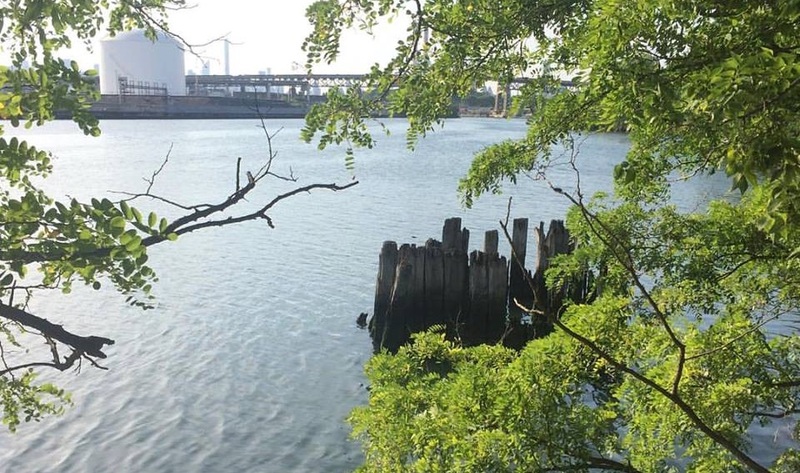 Our partners at Riverkeeper are working on a visioning report for Newtown Creek, which will provide guiding options on how to better address restoration, remediation, recreation and resiliency. Attendees at the event will help contribute to the visioning process through guided brainstorming breakout groups. The event is free and open to the public; please RSVP here. Our 2016 Water Quality Program and the Greenpoint Bioremediation Project were made possible with generous support from the Greenpoint Community Environmental Fund and the Office of the New York State Attorney General and the New York State Department of Environmental Conservation. What’s Happening with the K-Bridge Demolition?